The rise of cigarette price may have discourage them to smoke. Malaysia government tax heavily on cigarette. Every time they raise it, they would announce for the benefit of many they would use the money to improve public health system. Whereas, the smokers get poorer and opt for cheaper / non taxed cigarettes. As we are speaking, when smoker runs out of money, cheap cigarettes is ideal option to reduce cost. However, it will only cause one to suffer serious coughing. To farewell all this misery, smoker should one day quit this carcinogen habit. 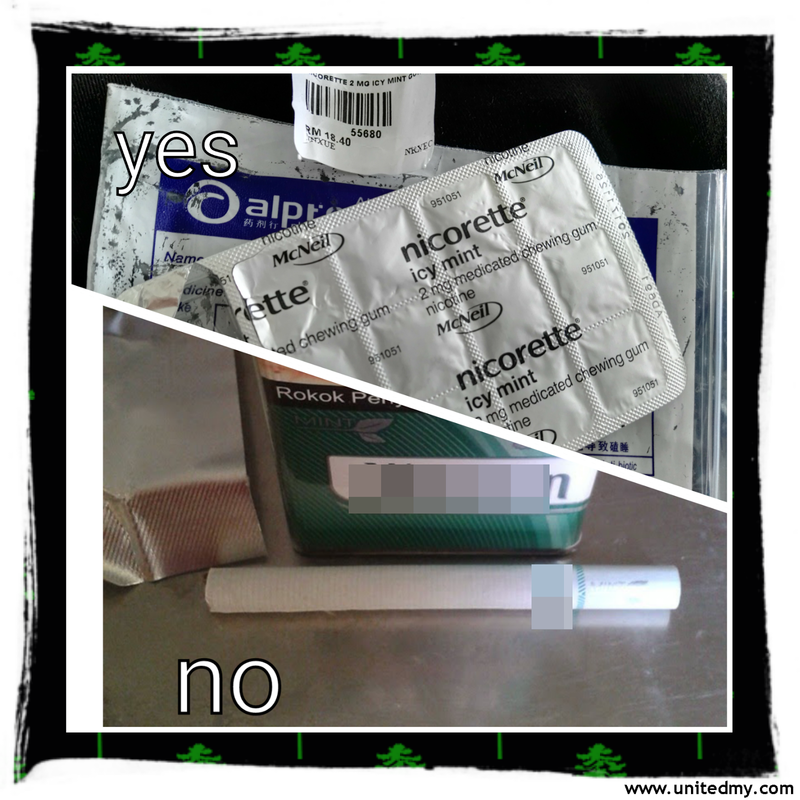 Nicorette Gum ease the cigarette withdrawal effect. Author was not mentioned earlier that he was a light smoker and currently taking Nicorette Gum 2MG nicotine as part of the plan to completely quit smoking. There is a program supported by Malaysian government and universities it called Jom Quit. One of the initiative to combat increasing number of smokers nationwide and it proves government do concern about population health being and not just simply collecting taxes on cigarette and use it on other purposes. 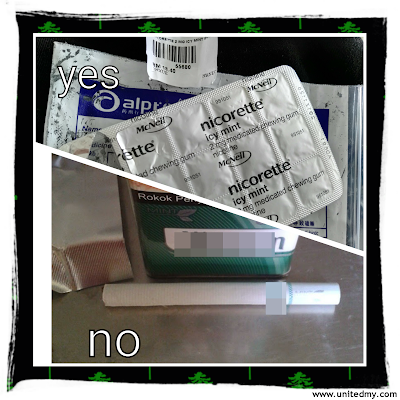 Nicorette Gum 2MG is sold at the price range of RM15.00 - RM16.00 for 15 tablets. Author ate 3 to 5 tablets a day to ease the pain of withdrawal effect. Without inhaling carbon monoxide from lighting up a cigarette is one day healthier.